How do I add travel notes? 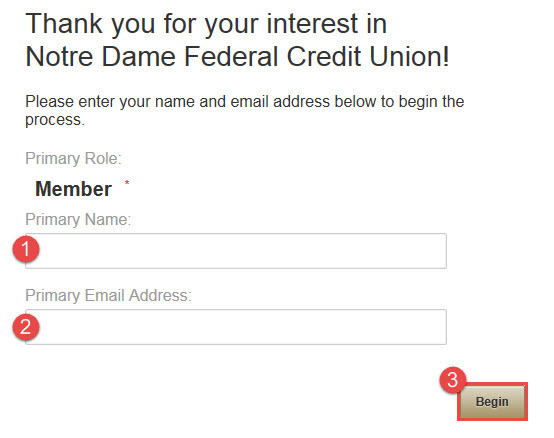 To use online banking, login and select Info Center (1) then select Helpful Links (2). 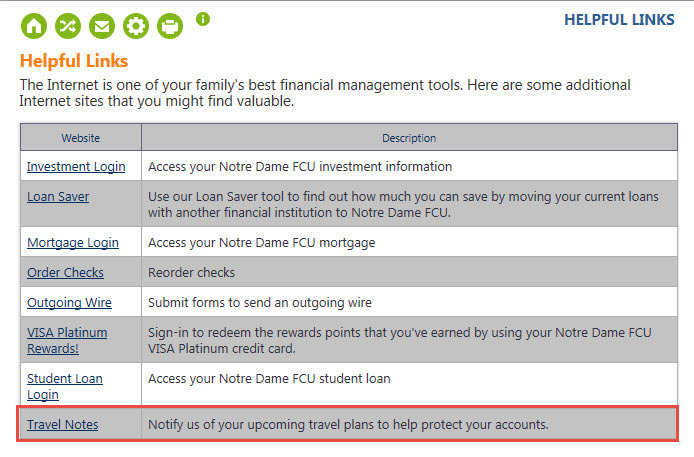 Under Helpful Links, select Travel Notes from the list. You will be prompted to accept being redirected to a different page. Select OK to continue. You will now enter the name of the primary account holder (1) and the primary email address (2) on file. Select the Begin button (3) to continue. You will now receive an email with an access code to ensure you are the one requesting the change. Please add the access code (1) and select the Validate (2) button to continue. 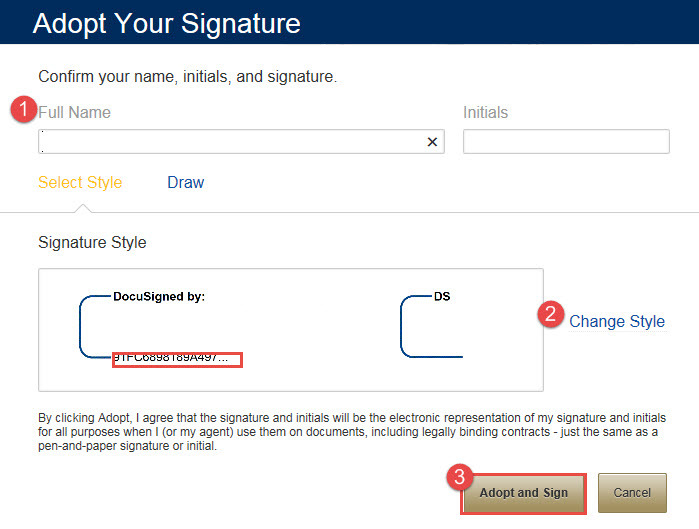 Please read the terms and mark the check box (1) on the form and select the Review Document (2) button to continue. After reading the Note, you will need to exit the Note by selecting the X to close the box. Now you will review the form and enter all of the details you can. If traveling to multiple states or countries, please list them all. 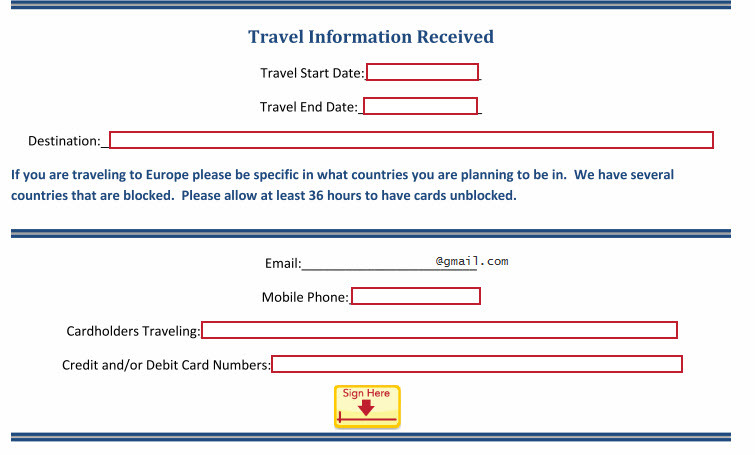 You can enter the date range, which cards are affected by the travel and the best phone number to reach you. 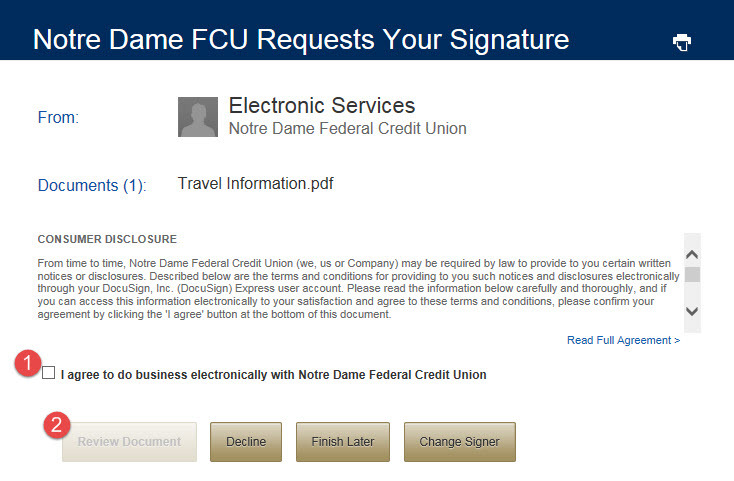 Sign the document to continue. Now you will confirm your full name and initials (1), select your signature style (2), and select the Adopt and Sign button (3) to continue. 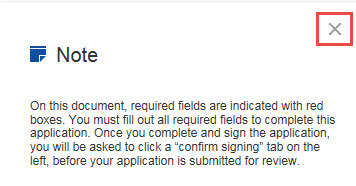 Once all fields are completed, you will be reminded to confirm your signature. Close out of the window to view the confirmation button. You will now confirm signing. A confirmation window will display letting you know you have completed the process (1) and you can select the X (2) to close the window.